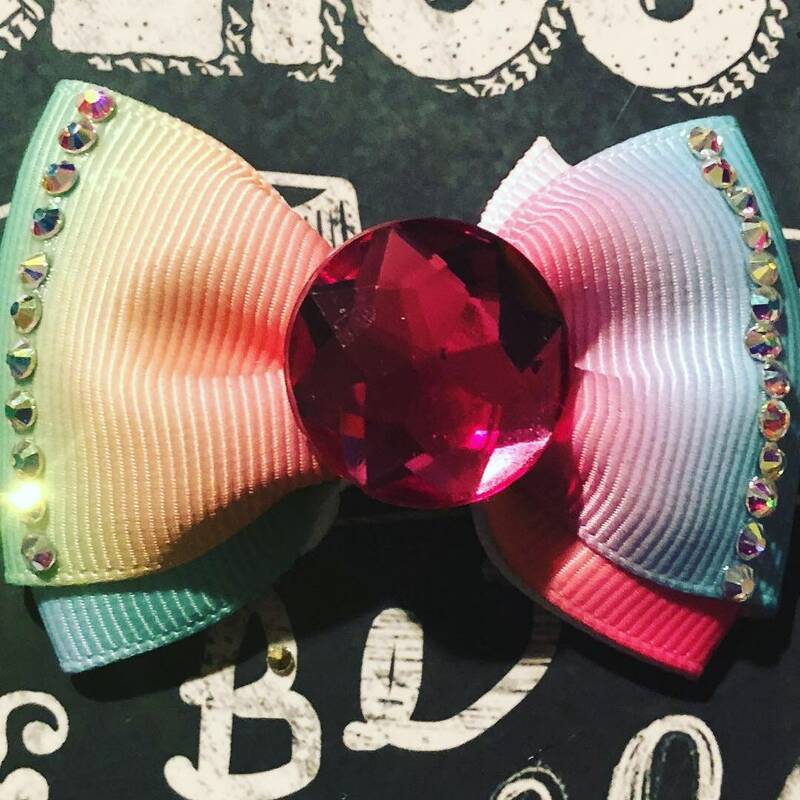 This bow is absolutely adorable, and sparkly! Bows are a perfect fit for small to medium size dogs and girls of all ages! 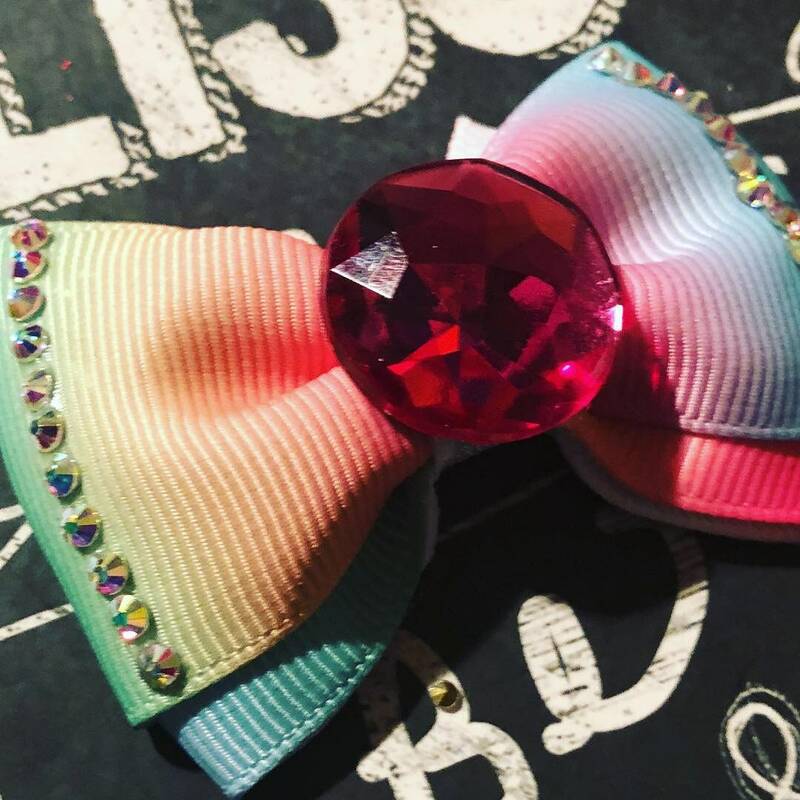 The bows are approx 2" and they are made with a 1 1/2" rainbow grosgrain ribbon with a beautiful and hot pink rhinestone centerpiece, and crystal accents. The bows can be added to a 1.5” french barrette, 1.75 alligator clip, or latex groomer's band. Please specify clip type when ordering. All bows are handmade.